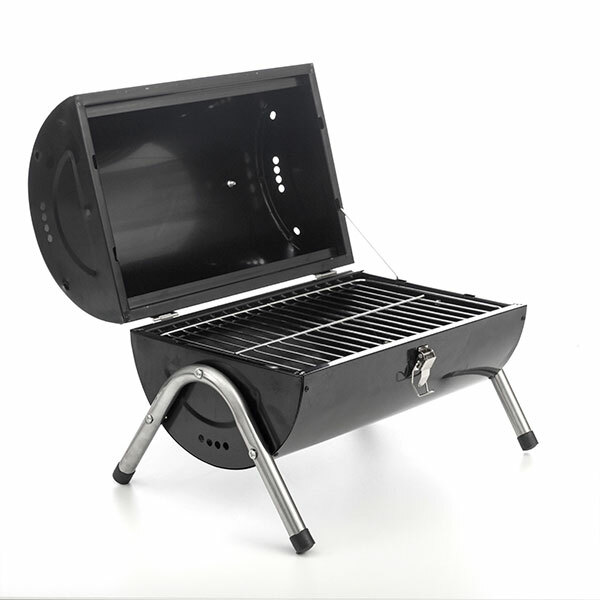 Cylinder BBQ coal barbecue. Its unique design will make your outdoors meals special and different. 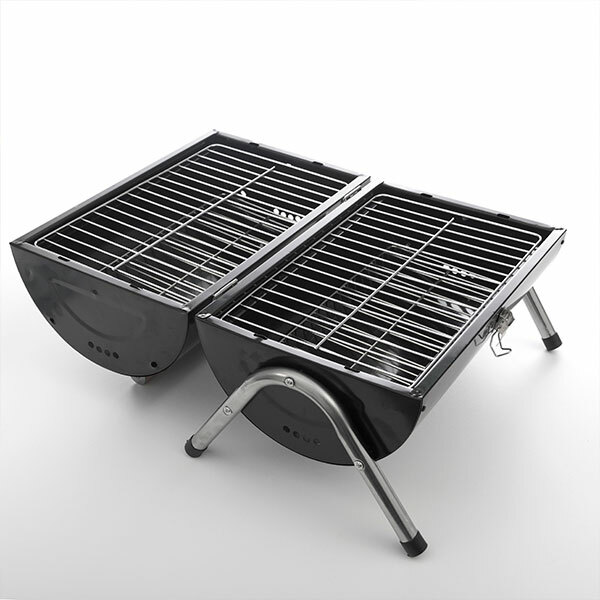 This outdoor barbecue features a double grill, handle, legs and a unique metallic lock. You can use one or the two cooking surfaces at the same time. It features instructions and mounting hardware. Approx. dimensions: 41 x 37 x 29 cm. Approx. dimensions of the cooking surface: 34 x 22 cm.